Happy Cinco de Mayo! 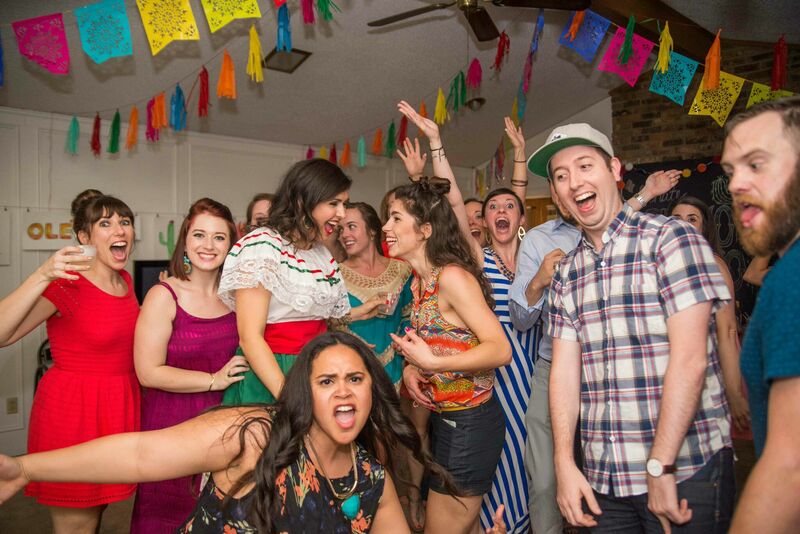 Given my love of theme parties and event planning, you can only imagine how much I enjoyed hosting a Cinco de Mayo fiesta over the weekend! The decor for the party might have been my favorite that I've ever worked on. So. Much. Tissue. Paper. I love the way it turned out though! This is one of the most epic photo bombs I have ever seen. Bravo! My friend, Brandon, captured some fun moments from the party and was kind enough to share! Had to get a few shots in the photo booth! This outfit is from Mexico- I bought it when I was 15 on a mission trip there. I love that it has lasted this long and I get to wear it once a year. Most of the ladies also dressed in fiesta-themed clothing, which I enjoyed. Everyone looked so festive! I can't wait until next year's fiesta! I posted a full shot of my outfit on Instagram. 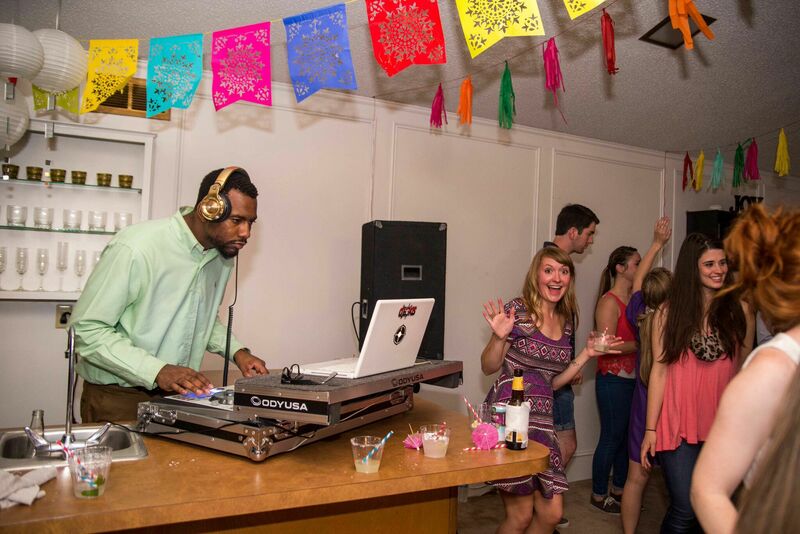 All of my guests had a great time at the fiesta and would agree that one of the most important aspects of the party was the music. There is a hilarious story behind how I got connected with this one, but I basically owe it all to Chipotle! DJ So4kis was amazing to work with, knew exactly what I wanted him to play, and my guests were thrilled! The dance floor was busy all night- just how I like it. I've already had requests from friends to book him for my next event. 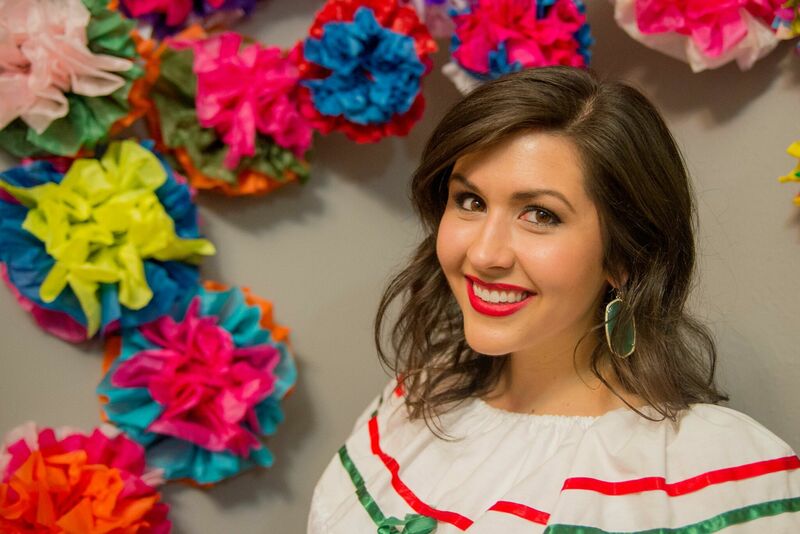 You don't have to wait until Cinco de Mayo next year to have a fiesta; I hope these ideas inspire you to host one soon!